OpenAshDieBack » Live online Q&A – cash for ash. Will it help? 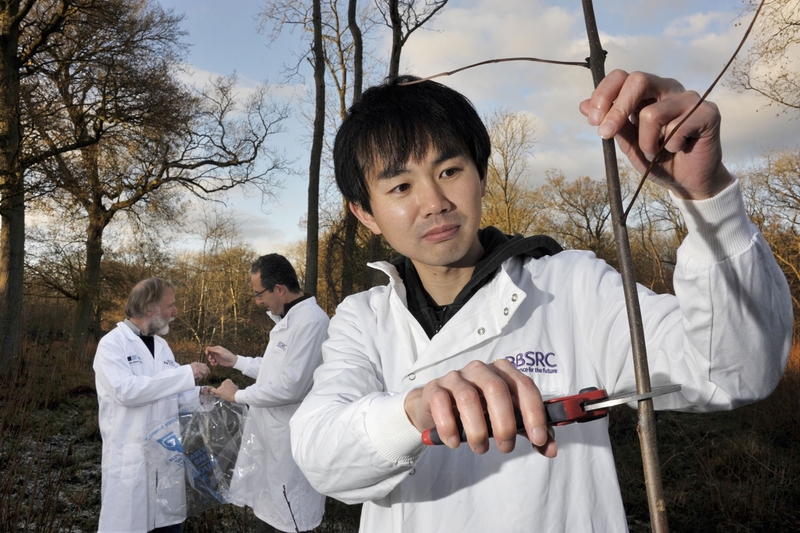 Sequencing and analysing the genomes of the ash dieback fungus and of ash will provide the information needed to help nature recover from the current epidemic. Scientists are pooling their expertise in collaborative research funded by BBSRC, announced on Friday 8th March. The following Live Q&A took place on 11th March 2013, with questions being submitted via e-mail or by using the #oadb hashtag on Twitter. 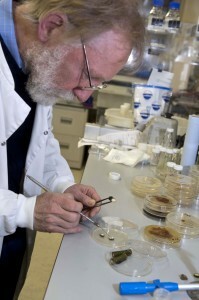 Professor Allan Downie, John Innes Centre After graduating in microbiology and biochemistry, I have worked at the interface of biochemistry, genetics, microbiology and molecular biology. Since arriving at the John Innes Centre in 1981, I have analysed the interactions between plants and micro-organisms, mostly on the symbiosis between rhizobia and legumes. I am particularly interested in how signalling occurs between plants and micro-organisms and how they adapt their physiology to coexist. As an Emeritus Fellow at the John Innes Centre, I realised that I might be able to help with the problem of ash dieback. Dr Dan Maclean, The Sainsbury Laboratory Head of Bioinformatics at The Sainsbury Laboratory, I have a background in bioinformatics, molecular biology, genetics,statistics and systems biology.I have an interest in genomics, transcriptomics and bioinformatics, particularly the rapidly evolving field of Next-Generation DNA sequencing. The focus of my current research is the development of new tools and methods for visualisation of next-generation sequencing data and the creation of algorithms for detection of genetic polymorphisms from the same, including the development of crowd sourcing methods. I hold an Honorary Senior Lectureship at the University of East Anglia where I lecture on courses in the School of Computational Sciences. Dr Joan Webber, Forest Research Joan is Principal Pathologist and Head of the Tree Health Research Group at Forest Research, the research agency of the Forestry Commission. She is responsible for leading and managing research into the health of trees, with particular emphasis on recently arrived pests and pathogens. 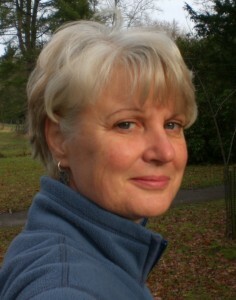 She has a BSc in Botany and Microbiology from the University of Wales, Aberystwyth and a Ph.D in tree pathology. Before joining Forest Research Joan was a research fellow and then a lecturer at the University of Southampton where her research focussed on Dutch elm disease and the interplay between tree pathogens and insect vectors. 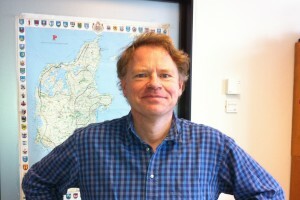 Dr Erik Kjaer, Forest & Landscape Denmark Erik is Professor of forest genetics at the University of Copenhagen. Besides Ash, Erik and his colleagues studies other native woody species including wild apples, oaks, lime, elms and roses. 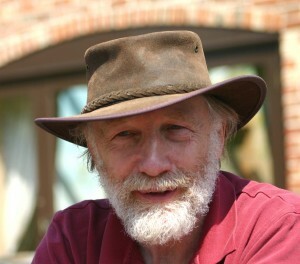 His main research focus is on helping ensure that trees can adapt to changes in climate, pests and pathogens.Before joining the University in 2001, Erik worked at the Danish Nature Agency where he developed a special interest in Ash and established several field trials and seed orchards before the ash die-back fungus came to Denmark. These trials have become important test sites for the studies on how (and why) a small fraction of the native ash trees appears to tolerate the disease while the majority of ash trees are so severely damaged by Chalara. Q1: Isn’t this too late? DM: Speed is definitely an issue. By making all data freely available and opening up to allow any interested party to contribute – crowd-sourcing – we can speed up our sometimes slow science work. We will have many more people working on the tasks needed to understand the disease. We will achieve much more than can be done by collaborating in the traditional way where group has sharply delineated tasks. The promise of crowd-sourcing is to achieve better quality analysis more quickly. EK: The experience from continental Europe is that the fungus is very effective in spreading with spores by wind, and that the ash trees are very easily infected. Still, there is also some positive news: a fraction of the ash trees seems to be able to tolerate infection and stay healthy even after years of heavy infection pressure. These trees seem to pass this ability on to their offspring leaving room for evolution. If we can find out why and how these trees remain healthy, we will be able to identify specific trees that possess this ability. If we understand the nature of this resistance it will allow us to estimate if these trees are likely maintain their high levels of tolerance even if the pathogen evolves. We need to understand the nature of the fungus and its interaction with the ash tree. We need to learn how the trees are damaged by the fungus including the role of other fungi. We need to understand how trees react differently when infected, and how this reaction influences the fungus. We need to be able to predict how fast the fungus is expected to spread, and how it will influence mortality, seed production and successful regeneration of ash trees across landscapes. It is urgent, but certainly not too late to start looking for these answers. Fortunately, genomic techniques and bioinformatics capacity have involved enormously compared to only few years ago. And fortunately, trees with variable degrees of susceptibility have already been identified, and various fungal strains sampled. With a joint effort we trust that a lot can be learned over the next two years. Knowledge that will guide appropriate responses to the problem with the objective of ensuring the future of the European ash trees in woodlands, landscapes and urban areas. Q2: Is there any pattern to the spread of ash-dieback in spatial terms. Are there any factors (prevailing winds, vegetation corridors, transport routes for instance) which can help predict the directions in which the disease is likely to spread? AD: The greatest amount of infection in native woodland is in East Anglia and Kent. This implies (a) wind spread and (b) it came from mainland Europe. However the incidence of infection in introduced ash trees could mean that in the UK the disease could now also be spread from the west. EK: Spores are spread by wind, so wind direction must be important. However, we know from other fungi that the spores spread very effectively once dispersed in the air and turbulence. Also, ‘prevailing winds’ only correspond to the direction the majority of days – some days another direction can spread the spores elsewhere – and the lessons from continental Europe is the trees seem to be infected very easily if exposed to the fungus. Definitely, transport of infected nursery seedlings can lead to rapid spread. Also, infected seed can carry the disease although there is probably less risk than infected nursery seedlings or leaf litter (the spores spread from fruiting bodies developing on the decaying leaf petioles) . JW: We know that ash dieback can be spread if infected plants are traded and moved within and between countries. However, we also know that the Chalara fungus produces spores that are wind borne, so prevailing winds are likely to influence patterns of dispersal. 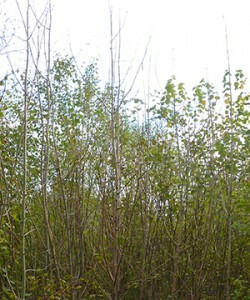 After infected leaves have fallen to the ground and over-wintered in the litter layer – spores released from this infected tissue in the following year. Research in Europe has shown that the ‘fruit bodies’ that produce the spores tend to be formed in spring and summer, so this is when the spores are released usually in the early part of the day after dawn. Also, that they may be wind blown over many kilometres. There is circumstantial evidence to indicate that some of the GB outbreaks of Chalara in the natural environment may have resulted from wind borne spores that have come from disease outbreaks in mainland Europe. In relation to this, we know that there have been quite a number of days over the past 3-4 years when prevailing winds have been from the north and east rather than the more usual prevailing south westerly winds that Britain experiences, and these north easterly winds could have brought the spores across from Europe to eastern England. Q3: What work is being done to identify resistance in UK populations, or is it too early for this? AD: Forest Research are planting out ash trees in East Anglia to identify which trees survive. This will take some time. While that is going on, we hope to develop techniques that will help us to identify different types of genetic determinants that contribute to resistance in ash trees. JW: Jointly, the Forestry Commission and Forest Research, working in partnership with many private owners and trusts, are involved in planting out ash trees in Norfolk to identify any trees survive and show signs of resistance. This will take some time. While that is going on, we hope to develop techniques that will help us to identify different types of genetic determinants that contribute to resistance in ash trees. In addition, Forest Research will also be assessing the provenance trials of ash that it has already planted at locations around Britain, to see if any of these trees also show signs of disease resistance. Q4: I have a metre high stump of what I think is infected ash that I cut down. How do I know if it’s Chalara, and should I now do anything about it? AD: Depending on where the disease had spread to, it is possible that if there had been Chalara fraxinea infection, the diseased bits may have been cut off. The problem is that the new growth on the stump may be especially susceptible to further infection from the environment. This would be the case irrespective of whether the tree was originally infected with Chalara or had been infected with something else. JW: You don’t mention why the ash was cut down and what symptoms were apparent, but if this was a mature tree it is very unlikely that it was affected by Chalara. This is because we know that the disease had only been found affecting established in trees in the wider environment in the eastern part of England (almost exclusively East Anglia and Kent), and for these trees the symptoms are only at their earliest stages and quite difficult to spot. If your tree was showing advanced stages of dieback and needed to be removed, then this would have been due to other causes and not Chalara. However, even if your tree was affected by Chalara then you don’t have to do anything about the remains of the tree. As only a stump remains, it won’t produce any spores that could affect other nearby trees, and we (Defra/Forestry Commission) are not advising people to cut down trees even if they are suspected of being infected. Q5: While this kills ash saplings, is #dieback the ‘worst’ that occurs to 50yr old trees? AD: It is much more difficult to observe the disease in old trees until they are heavily infected, whereas in saplings it is easy to observe the infection in young branches. It seems that young trees are more susceptible than older trees, although coppiced old trees also show high susceptibility. With time, older infected trees may become weaker, stop growing and then become infected with other disease-causing organisms, that can contribute to their death. EK: Young seedlings and trees are highly affected resulting in high mortality. Older trees are also damaged – often very severely and sometimes killed within few years. Infected trees are also more prone to infections by secondary pathogens, often killed by the combination. Q6: What is mysterious about ash dieback, as reported in the media coverage? AD: The mystery is where the infectious Chalara fraxinea came from and why it is so aggressive on European ash. There is speculation that it came from the far east, but we do not know for certain. One possibility is that it is well tolerated by some types of ash. The fungus could, for instance, have been imported to Europe in a tree that showed no symptoms. 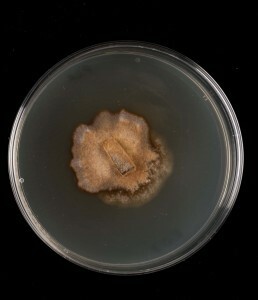 The fungus might then have jumped to European ash, a species that has not evolved to limit the growth of the fungus. EK: It is still not known where it came from and how it could infect all of Europe within a decade. Also, it is intriguing that the species is so closely related to a native, harmless fungus – an ash leaf decomposer that has been known in Europe for more than 150 years. DM: Scientifically, there is a great deal about this pest that remains mysterious. It isn’t clear how it got here, which trees of which age it infects, how it spreads and why it is so aggressive. However, our knowledge is growing quickly and through our crowdsourcing initiative and this website we have identified proteins with similarity to known toxins, generated early genome sequences and gene activity profiles. We’re really hoping that this work will lift much of the mystery. Q7: Should we start planting Ash with natural Chalara resistance even if they aren’t of UK provenance, e.g. Danish ‘Tree 35’? AD: We should be very clear that tree 35 is not ‘resistant’. It tolerates the fungus better than most but it still gets infected. We do not know what is likely to happen with such trees over 20-40 years. The plan it to see if there are different genetic determinants in different trees that tolerate the fungus. If there are, it may be possible to cross them with each other and combine the characters to increase tolerance. DM: It isn’t certain whether ‘Tree 35’ is going to be tolerant against the UK population of ash dieback. Tree 35 has shown to have great tolerance, but it isn’t clear how it will be in 20 – 30 years and we want to be able to create long term resistance. That said, there are great lessons to be learned from the genetic makeup of this tree and understanding how it has reached this tolerance is going to be of great benefit. In the end we would like to achieve a UK population of resistant trees, with UK-specific diversity, as our tree population is genetically different from the Danish population. JW: Before we can go ahead with widespread planting of ash trees such as Tree 35, we have to be sure about the extent of its resistance. However, just because trees/seeds are not of UK provenance doesn’t mean we should exclude them. The releases from a number of programmes breeding for resistance to Dutch elm disease have made use of a wide range of elm species from Asia to produce resistant elms. Also, many of the broadleaf trees planted in Britain, including oaks raised after the Napoleonic wars, have depended on seed from other European countries. 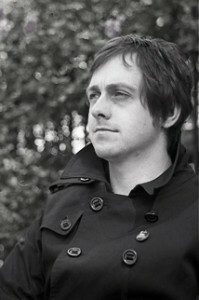 Q8: Is this the first time Ash Dieback has been a problem in the UK? Have there been other similar diseases in the past that devastated a certain type of tree? DM: This is the first time we have seen this ash dieback in the UK. Actually, there is a bit of confusion sometimes because there is another condition, also called dieback in which the tree loses an old branch but survives and rejuvenates as part of the natural cycle. The current ash dieback, caused by Chalara fraxinea seems to be new on these shores. JW: Ash dieback caused by the fungal pathogen Chalara fraxinea is a new problem in the UK. However, we have another disorder of ash, also confusingly known as ‘ash dieback’ which has been around for many years and the cause is thought to be mainly physical rather than biological. Affected trees (usually mature trees) typically suffer from severe crown dieback and the symptoms are most marked in trees adjacent to arable land or other locations where root disturbance may occur. Also, drought as well as root damage are thought to play a part in this decline syndrome. However, naming diseases on the basis of the symptoms seen – in this case Chalara ash dieback and the ‘older type’ of ash dieback, illustrate the problem we often encounter when trying to chose common names for plant diseases. Often very different organisms or even environmental factors such as drought or frost can produce similar symptoms, although the underlying cause of the symptoms can be quite different. Q9: You can’t spray fungicides in a wood so why spend money researching the fungus? DM: We aren’t focusing on developing fungicides. By understanding the interactions between this fungus and the tree we can start to develop methods that don’t rely on the application of fungicide. As part of this we will need new knowledge, new ways of working and new tools (such as computing resources) that can be applied for Chalara and kept ready and used in the event of future infections from other organisms. AD: With the research on the fungus we aim to understand the way the disease is spread, how diverse the fungus is and why it causes such severe symptoms. In addition it would be very useful to be able to develop a rapid laboratory test to determine how well individual trees can tolerate the infection. Some fungal pathogens are suppressed from causing disease symptoms by other relatively harmless fungi or bacteria. To test if this could be the case with Chalara fraxinea, we need to understand the pathogen. We are not thinking about use of fungicides especially in woodland. Q10: Ash is sometimes viewed as a ‘weed’ tree; isn’t #chalara just evolving biodiversity providing space to other tree species? EK: What is a weed? Ash is an important part of our flora. 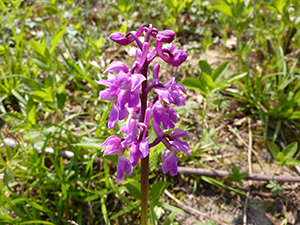 It is a keystone species in certain wetlands with many associated species such as orchids, lichens and insects. Some insects for example rely solely on this species. AD: It’s only really been considered a “weed” since the Dutch Elm outbreak of the seventies. It moved in to fill the gaps and helped plug vital gaps in the landscape. However, biodiversity was reduced after that outbreak eg. the white letter hairstreak butterfly declined. Other trees may well increase as a result of ash dieback but biodiversity overall will decrease not increase. Ash (Fraxinus excelsior L.) is our third most common broad-leaf species (after oak and birch). Other existing trees may be able to occupy the gaps but this will be a net decrease in biodiversity. It would take many years to evolve new biodiversity equivalent to that which will be lost when the ash trees die. JW: Rapid growth and ready establishment doesn’t mean that ash should be regarded as a weed species. It is our third most common broadleaf species in the UK (after oak and birch) and widely planted as woodland and hedgerow tree. There are probably around 140 million ash trees in the countryside in Britain. It seems likely that ash and plants/organisms that are part of the ash community will be subject to intense evolutionary pressure as a result of the arrival of Chalara. The accidental introduction of Chalara into Europe (probably from East Asia) has meant the arrival of a pathogen that is highly damaging to our ash trees as they haven’t naturally evolved resistance mechanisms to counter or limit infection. The evolutionary processes which will bring pathogen and European ash ‘back into balance’ may take decades or even thousands of years to achieve, and the loss of ash may well be destabilising to habitats as well as offering opportunities to other tree species. Q11: What are the implications of all/majority of ash trees dying? Will there be negative impacts? AD: The loss of ash trees would mean the loss of an ecosystem that revolves around ash trees. Ash is the sole foodplant for at least 27 species of invertebrates. Ash (Fraxinus excelsior L.) is a common woodland and hedgerow tree. It is our third most common broadleaf species (after oak and birch). Ash dieback will alter woodland structure and rural landscapes, and cause losses of amenity trees, commercial plantations and timber breeding programmes. Indirect consequences include loss of ash-associated fauna and epiphytes and opening of woodland canopies. Changes to the canopy impact on ground flora and fauna, the release of nutrients from the soil, litter breakdown and carbon sequestration. For example, fast-growing invasive vegetation could compete the more delicate wildflowers. Reduced numbers of trees may also effect water uptake, leading to higher water tables in some areas. In non-woodlands, e.g. in parks and urban areas, impacts may be more severe because the relative contribution of individual mature or veteran trees fir cover and wildlife is greater than in woodlands. EK: Values are lost in multiple ways. Old trees represent aesthetic values. Ash is a keystone species in certain wetlands with many associated species such as orchids and insects. It is an important timber species in forestry. Valuable timber is produced for furniture and other uses. Ash is also an important urban tree with a light, open crown. JW: Ash trees contribute to biodiversity and wildlife, and are popular in urban landscaping schemes. There are about 180,500 hectares of ash trees in British woodland, and overall the number of ash trees is estimated at around 140 million. If we see impacts on the scale seen in other countries (eg Denmark, 90% of ash trees affected), then sadly it is inevitable that there will be negative impacts. 4 Responses to Live online Q&A – cash for ash. Will it help?